Halmatic 44, GRP heavy duty work launch, twin Volvo 372C engines, very low revving machines with independant cylinder heads. Currently work coded to carry 4 pilots plus 2 crew, no more than 20 miles from a safe haven. She has undergone a full refurbishment. Repainting, replacing external fendering. This is a great combination of design with Nelson and Halmatic, to produce quite an awesome work boat. 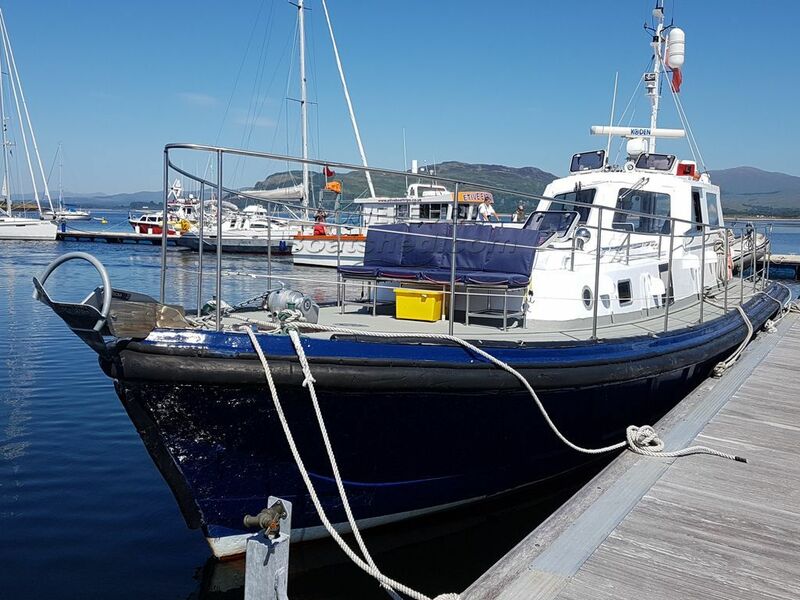 Flexible enough to lend herself to many uses, with good crew accommodation, working galley, newly fitted guard rails, davits, and navigational equipment. Great access to the engine room with two Volvo 374 hp engines. This Nelson Halmatic 44 has been personally photographed and viewed by Ian Sawkins of Boatshed Scotland. Click here for contact details.